[New for May 2017] I will admit that I actually saw this pint at another store two days ago but was weary of dumping five bucks on a pint of banana ice cream. Well, I went in to Target this morning and while I didn't find Keep Calm and Caramel On, I did find this on sale for $3.50. I didnt plan on having this one as my morning snack, but the ride from Target had gotten this one nice and tempered. I had trouble opening the lid because of that caramel you see keeping everything glued together. Since it's been almost two years since I covered a banana ice cream, let me give a quick recap of my taste preference. I'm a middle of the road kind of person when it comes to banana. I don't like them green when they are tough and light in flavor. I don't like them brown when them are smushy and a bit too heavy in flavor. I like them in the middle of that. Good texture, good flavor, and probably floating in a bowl of rice krispies. I take a few bites and this is a surprisingly strong banana flavor. 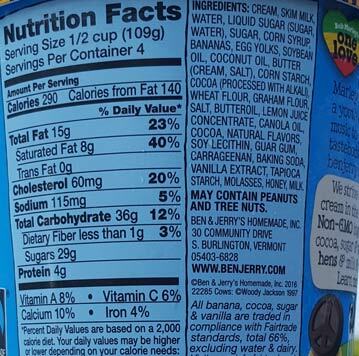 I know I've had either Ben & Jerry's Banana Split or Chunky Monkey a few years ago (sorry, I forget which) and I don't remember the banana ice cream being this strong. Whether this is the same or different, I definitely think that the sweet caramel is amplifying that robust, ripe banana flavor. The chocolate peace signs are also a bit darker/drier than expected and actually take you out of the moment a bit. I know many of you don't like the new B&J's fudge flakes but I think their constant presence would have gone better here than the peace signs (though maybe they were concerned that they would override the banana base). 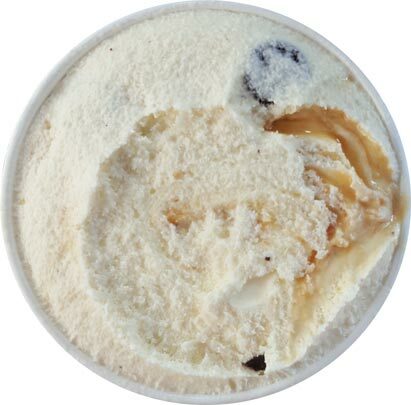 The graham swirl seems nice but I'm having trouble getting it by itself since this first serving is more about the caramel. It's a nice caramel, I'm not complaining about it specifically, it's just that more graham cuts the strong banana flavor while the caramel extenuates it. So going back to my earlier comments, personally I'd like a bit more dampening here. Those of you that love banana are pretty stoked at this point right? And you should be, you will really enjoy this. It's up there with other strong (and sweet) banana flavors. If you've ever made banana bread with really ripe (very brown) bananas, that's about the level of intensity here. Ok, that was interesting and we'll see how the afternoon scoop goes. 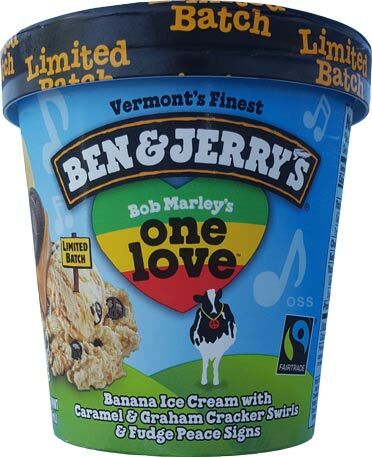 On Second Scoop: Banana really needs to be your thing if you are going to pick this one up. It's got good quality and flavor but if you are going in thinking that your so-so feelings towards banana will be helped out by the graham and fudge balancing things out completely, well, you might be somewhat disappointed. There's nothing wrong with this ice cream, it's just meant for a specific set of people, say Marvo for example. He should adore this flavor. For me, the varying banana intensity (depending what's on your spoon) just isn't my thing. I'd much rather go attack a s'mores flavor than try to get my graham fix here. Charity Note: A portion of the proceeds go to the One Love Youth Camp. "Those of you that love banana are pretty stoked at this point right?" Stop & Shop has B&J's 5 for $12.50 this week if you buy 5, gonna see if I can find one that has it. Is this the same banana flavor from Chunky Monkey, anyone? I don't like the taste of really ripe banana - but for some reason, I really liked this. I thought the caramel, graham cracker, and chocolate helped mellow it out a bit. While not my favorite flavor, I did buy another pint to have on hand since it is a limited batch. Bought two pints of this last night (2 for 7 at Target) and WOW! I actually really enjoyed it, because I think that the choice of mix-ins work very well with the stronger banana base. I also think it would go well with some fresh strawberries or perhaps MAYBE some fresh orange. The one wish I had throughout was for a touch of salt in the mix. 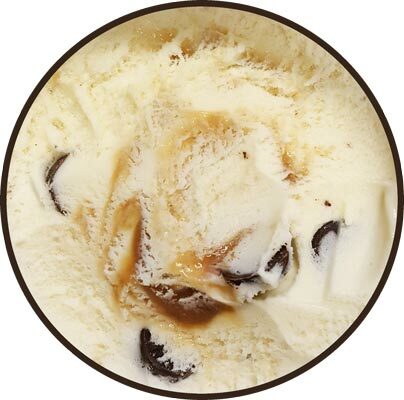 In my opinion, it would mesh even better as a flavor if there'd been a touch of salt in the caramel or in the chocolate. Then again, chances are just as good that eating it with an acidic fruit, such as strawberries, would solve the same problem. Cheers! I hope this one stays around for awhile. I really hope I can find this soon! 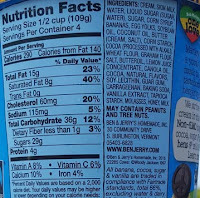 I am so tired of that fake Laffy Taffy or circus peanut or moon pie phony banana flavor so many products use that I have given up on almost all things banana flavored. But your review has inspired me to seek this out as a chance for my favorite fruit to shine again. I hope I'm not disappointed. Thank you! Best banana cream pie ice cream i've had in a while. Why oh why are the best B&J flavors limited batches?